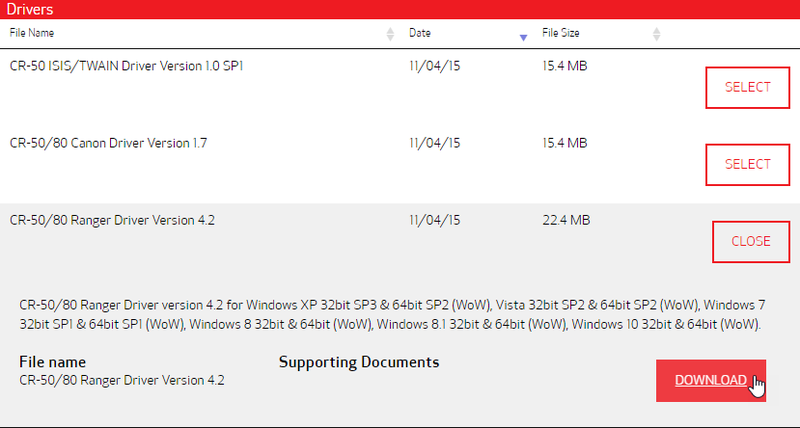 •To install your CR-50/80 scanner, see the Canon CR-50/80 Driver Download page. •To install your CR-55 scanner, see the Canon CR-55 Driver Download page. 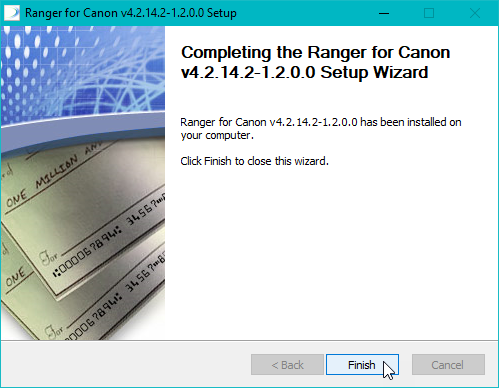 •To install your CR-135 scanner, see the Canon CR-135 Driver Download page. 1. From the Canon Drivers & Downloads page, click the Select button next to the Ranger Driver you want to download and then click the DOWNLOAD button. 2. Next, select to Open the downloaded driver. 3. 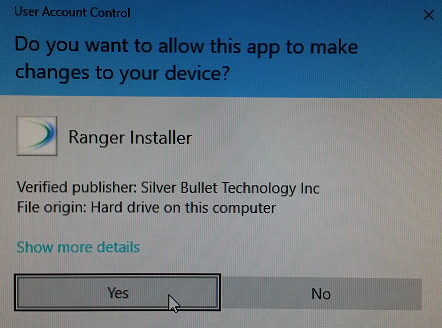 When the User Account Control window appears, click the Yes button. 4. Click the Install to start the installation. 5. Click the Finish button to close the wizard. 6. Now that the driver is installed, plug the scanner power cable into a power outlet and then connect the USB cable to your PC. See the Check Scan page instructions on how to use the Check Scan application.